A Magazine of Christian Philosophy. Los Angeles, CA. Publisher: Institute of Religious Science and School of Philosophy / Science of Mind Publications. Editor: Ernest Holmes, founder; William H. Brooke, editor, Mrs. G. Rundel, Josephine Holmes, Helen Van Slyke, associate editors; Ned L. Chapin and Christian Daa Larson, editors. 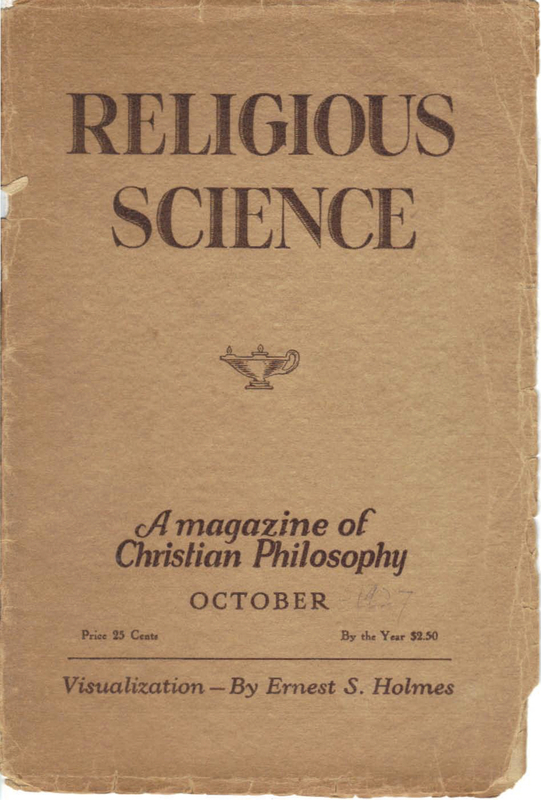 Corporate author: Institute of Religious Science, School of Philosophy1/1, October 1927-current. $2.50 a year. 30 pp., 6 x 9. 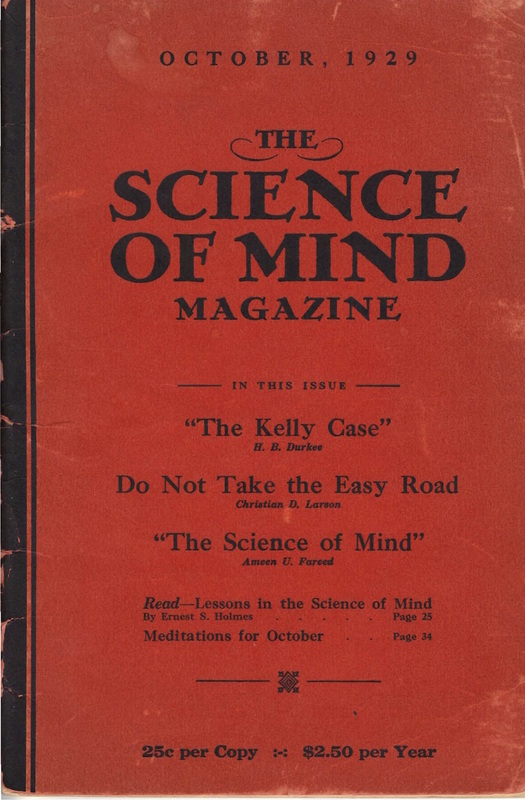 With the issue of December 1927 the journal became Religious Science Monthly; in November 1928 it became Religious Science Magazine; and with the issue of October 1929 the journal became Science of Mind, under which name it continued at least until 2007. This was the organ of the Institute of Religious Science in Los Angeles, founded by Ernest Holmes (1887-1960) to propagate his Religious Science version of New Thought. The journal consisted originally of notices and announcements of the institute and school, with longer articles by Holmes, but in its subsequent forms, especially as The Science of Mind, it began to have contributions by others. The only advertisements were for "Practitioners under the Auspices of the Institute of Religious Science." At the end of 1954, the journal began to put out a pocket-sized "daily thought" companion to this journal. NYPL.